Stop wealthy donors from controlling our candidates and getting special favors. That's our purpose, but it's not easy to do while preserving our First Amendment rights. Only citizens can contribute to candidates. 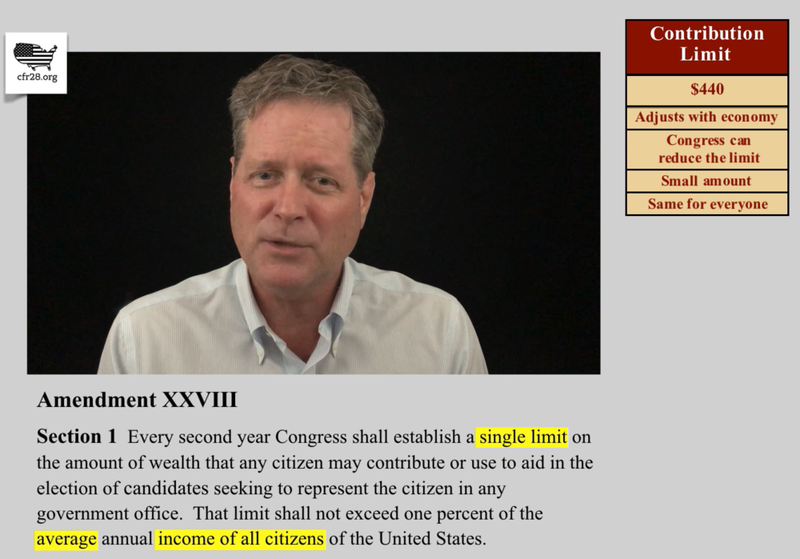 Citizens are limited to no more than $440 to each candidate for each primary or general election--an amount that will adjust with inflation. 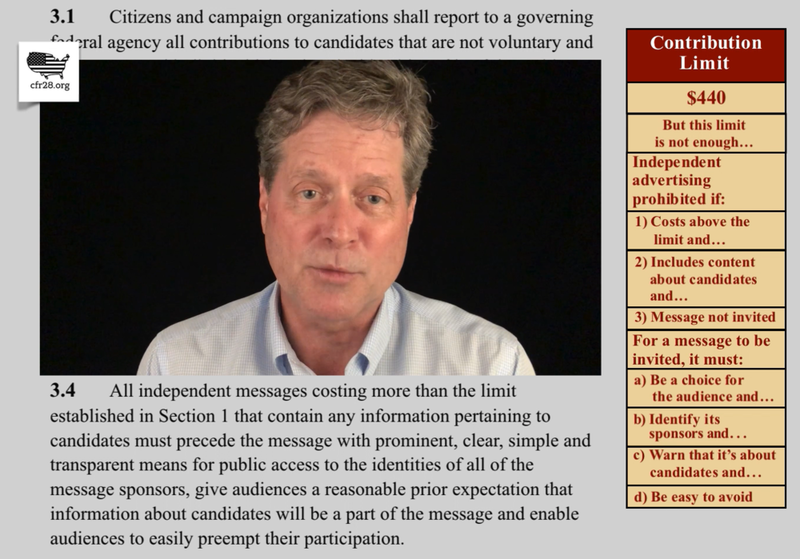 Citizens can contribute only to candidates who are running to represent them. Additional public financing is allowed, but not required. Independent advertising is prohibited unless it is sponsored by a citizen for less than the $445 limit. Advertising is defined as any messages intended for people who do not expect or want to see them, regardless of source or content. Any person or organization can otherwise say anything, in any medium, about candidates. However, they must identify themselves if they use media to advocate for or against candidates. To see a more detailed explanation of the amendment click here.